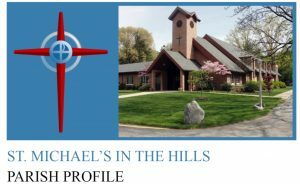 In 2002, St. Michael’s completed a capital campaign that supported an expansion of the church building to include a new choir room, enlarged Sunday School and youth education classroom space and a Fellowship Hall. A good part of the expansion was adjacent to the north side of the nave. To maintain the integrity of the nave, including the light coming from four stained glass windows, a small courtyard was envisioned to connect the side of the nave with the new wing. With the St. Francis garden already in place, parishioners, with the assistance of a landscape designer, decided to make the new garden a companion to the existing St. Francis garden, dedicating it to St. Clare, who worked alongside St. Francis and started the Poor Clares order. 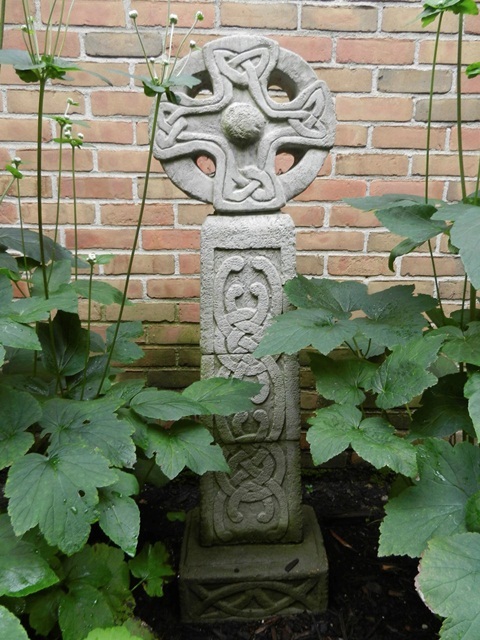 The garden is simple in design and plantings, with stones set in a cross design, surrounded by anemone, clematis climbing on the brick wall of the nave, an ironwood tree, in fact, a number of plants from the medieval times and place where St. Clare lived. Under the direction first of parishioners Elmer and Letty Haigh and currently parishioner Sarah Mierzwiak, the garden is maintained throughout the year.